Loss prevention is always a very challenging task. New technologies like 'Swarm Intelligence' is one of the most advanced ways to combat security related threats. The festival and holiday season is upon us. This, effectively means, that there will be a higher percentage footfalls in retail stores with hordes of customers spending time and money buying new clothes and other things for home and family. It is a good time for business but it is also a time when retailers need to be extra careful dealing with theft and intentional damage to merchandise. From artificial intelligence to virtual reality, emerging technologies are rewriting the retail playbook at a rapid pace. Most big format retail stores have started depending heavily on technology and have several loss prevention solutions in place. 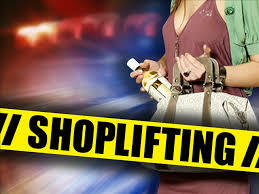 However, thefts and rendering merchandise useless keeps occurring as shoplifters find newer ways to steal/ shoplift a product or even parts of a product. Traditionally, monitoring systems at retail stores relied on video surveillance where a dedicated person behind the camera looked out for unusual customer behavior that requiredinvestigation. Loss-prevention techniques over years have evolved in big way as merchandise loss can happen not only at the store, but also in the warehouse, distribution center, depots, while in transit, etc.It has however been noted thatmost shoplifting takes place within store premises and common shopping areas, where shoplifters are using newer techniques to be as invisible as possible. New methods includecreating distractions by working as a flash mob. Retailers are facing the challenge wherein they must monitor every suspicious activity within a large crowd, especially during the high season when there is significant in-store traffic. A lot of store formats have multiple levels with various departments for different merchandise and categories and a flash mob can organize themselves based on the information they gather moving through the store.For example, the information members might communicate include, “lots of people in this area”, “there is too much security around here”, “and most store associates are on a break” or “no security here during such and such timeframe”.This information is enough for the entire group to swarm in if they see criminal opportunity or swarm out if the risk of being caught seems likely. Wikipedia states Swarm Intelligence or SI as the collective behavior of decentralized, self-organized systems, natural or artificial. The expression introduced by Gerardo Beni and Jing Wang in 1989, in the context of cellular robotic systems is mostly used in work on artificial intelligence. This concept modeled after Mother Nature relies on using social species to pool their collective knowledge, wisdom, and intuition and turn them into rapid optimized decisions, harnessing their group intelligence as a flexible living system rather than as a set of crude data. For retailers, there is a tight rope walk; they cannot make prospective customers uncomfortable by monitoring them too closely as that might result in walk outs and no return. Using today’s technology, the entire process of identifying shoplifters can be converted into a science. Analyzing the behavior of shoplifters offers insight into the merchandise or the department/ class of merchandise that is most at risk. That's where swarm intelligence comes in. Using Swarm Intelligence (SI) algorithms such as Particle Swarm Optimization (PSO), the Bees Algorithm, the Ant Colony Optimization, the Bat Algorithm, etc., retailers can create simulations to understand potential threats based on how merchandise is placed at the store. The technology maturity has provided good computing and integration capabilities, where some of these conceptual techniques are becoming realities to implement in practical world. Applying swarm simulation helps retailers identify and prepare for a number of shoplifting scenarios. That in turn helps them gauge the risk of theft and helps them decide merchandise placements. Additional security and monitoring systems are put in place where high value merchandize are displayed and shelved. Simulations aside, retailers can identify an actual swarm event and known flash mob individuals via the various smart devices in use these days. While some retail formats may restrict device usage, quite a few allows it. Smart devices offer multiple ways to zero in on individuals within a specific area. Bluetooth and Wi-Fi beacons in individual smart devices can be intercepted. The beacons have a unique ID that identifies the device, the device class, the device manufacturer and the signal strength. By capturing these beacons and comparing the suspect device in a retailer’s database against its store setup plan, retailers can use this to monitor every time a suspect ID enters the store. This can help prevent an impending swam event. In future, just as we have seen in futuristic movies, position analysis can be used to check the path traversed by the suspect device IDs, the amount of time a suspect individual remains in a certain spot, and the person’s proximity to specific merchandise. With these, the retailers can establish a visual map projected against a store’s planogram to reveal shoplifting patterns based on the merchandise setup in the store aisles. They can generate heat maps that will visually inform store associates and security if multiple individuals are acting suspiciously, learning the patterns of their behavior related to scouting expeditions or an actual shoplifting event. Associating these projections with store operation data will be able to provide further insights on the number of associates on the floor;the time the incidents can occur and the peak flow pattern of customer Point of Sale (POS) transaction periods etc. There are of course privacy issues to be considered concerning collection of the data, specificallycapturing information related to personal device and the data of individuals.Retailers must put the right security measures in place to ensure data is consumed and used for security purposes only. Swarm intelligence can help retailers better understand consumers and thus better target those responsible for loss. However one must always remember immersive technologies aside, a “seamless commerce experience is paramount” with minimal gap between inspiration and purchaseâ€¨as the key to a success retail business. The 3R of retail:The various changes in the retail segment as a result of using new technologies and its adoption by consumer as well by retailer is known as Digital Transformation and has an impact in 3R of retail. 3R refers to reimagining customer experience, re engineering business efficiency and reducing risk. Retailers ideally like to keep customer experience as differentiator and always try to redefine customer journey to improve experience. Using different technologies to aid the process does make it seamless and personalized. The new age technologies also have a direct implication in improving the security at the store level. The automation of business processes and usage of data analyticsacross business process can help improve business efficiencyas well reduce the risk. Overall it looks like exciting times ahead for the retail segment while managing business better and in a more secure format. The article is pen down by Gunendra Patil, Vice President: Retail, Travel & Entertainment Industry at Happiest Minds Technologies.